Are you wanting healthier skin? CBD Oil may be your solution. The best CBD oil for healthy skin is either a skin serum, or a topical cream. Topical creams have added ingredients to help with skin health and youthfulness. They also have other oils like avocado oil to help with the absorption of the CBD. Topical creams also help moisturize your skin. 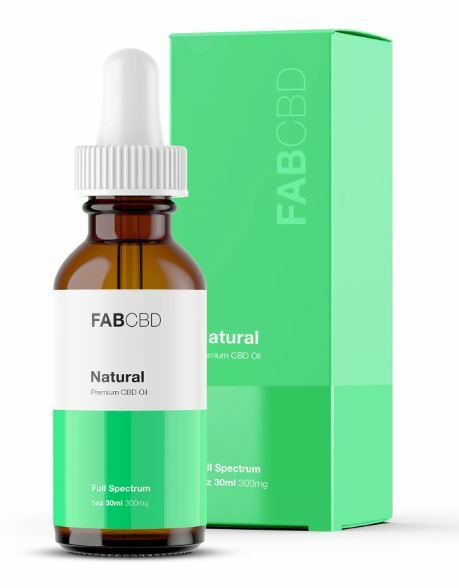 Skin serums, on the other hand, are purer forms of CBD usually designed to address things like acne or other skin issues. For an in-depth look at CBD skin products, check out our ranking of the best CBD oils for skin health. Smooth, radiant skin signifies youth and good health. But the largest organ in the human body does a lot more than look pretty – skin regulates temperature, protects the body from the outside environment, produces vitamin D, and warns of potential danger through the sense of touch. Healthy skin can help us to look and feel our best, and the beauty industry is always searching for the next breakthrough to help protect and restore this important organ. Cannabidiol, or CBD, is a compound derived from cannabis. With its antioxidant and anti-inflammatory properties, CBD could be the next big thing in skincare. Skin conditions can be painful,and may cause significant damage to a person’s self-esteem.CBD may offer relief from a variety of skin conditions, without negative side effects. Psoriasis is a disease that causes painful,scaly patches, resulting from skin cells growing at an abnormal rate. A recent study suggests that CBD has the potential to effectively treat psoriasis by slowing the growth of these cells. CBD may also help to treat acne.It attacks acne on several different fronts, from slowing the production of oil to suppressing inflammation. Free radicals are unstable molecules that are produced naturally within the body.They are important to many cellular processes, but when they build up too much, they can damage cells. This is known as oxidative stress and can include DNA damage, which may play a role in illnesses like cancer. Antioxidants are substances that stop oxidative stress by stabilizing free radicals. Nutrients like vitamin C and vitamin E are antioxidants – and so is CBD. Topical skincare products with antioxidants can protect skin from damage and reduce signs of aging. We’ve all experienced minor cuts and scratches, and normally the body can heal from this damage on its own. But when the injury is more severe, or when an infection occurs, wound care can prevent major complications. Inflammation is the body’s natural response to injury, but it can cause redness, swelling, and pain. As an anti-inflammatory, CBD helps manage the body’s response to injury and reduce these unwanted side effects.CBD also has antibacterial properties, and it even kills antibiotic-resistant MRSA. This is important because bacterial infections in open wounds can spread throughout the body and cause life-threatening illness. Skin cancer is a deadly disease that affects millions of people. Melanoma, the most dangerous form of skin cancer, kills more than 10,000 people a year in the US alone. In preclinical trials, CBD slowed the growth of melanoma in mice.Researchers treated mice with a combination of CBD and THC, another compound found in cannabis. According to the study, “THC and CBD engage different molecular machineries that cooperate to promote tumor cell death.”The authors called for more research to determine whether CBD can help with skin cancer in humans. CBD products – from topical creams to sublingual CBD oil drops – can help keep your skin healthy and looking its best. They may also be effective as part of a treatment plan for serious skin conditions. Always talk to your doctor about using CBD as part of your treatment plan.